Dailybuzz.ch: "I thought only people in Africa got HIV" - British Mom Who Contracted HIV After Fling Admits. "I thought only people in Africa got HIV" - British Mom Who Contracted HIV After Fling Admits. 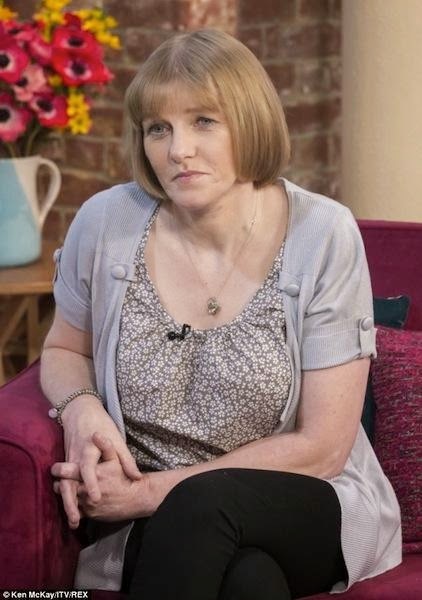 Rachel Dilley, a 48-year-old mother of three, recently appeared on a British morning show to talk about contracting HIV as a middle-aged woman. Dilley’s ordeal began when, after weeks of not feeling well, she decided to see her doctor who found that she had malaria-like symptoms. Dilley’s doctor suggested she take a HIV test, just to rule it out, but two weeks later she was shocked to find out she was positive. “My first words were: ‘Am I going to die?’ I thought it was a death sentence,” she recalled in an interview. While it’s unfortunate Dilley was infected with HIV, I find it difficult to believe she’s never heard of a single White person (particularly since there have been tons of famous ones) who contracted the virus. Moreover, her ignorance around HIV only further highlights the need for comprehensive sexual health education at every age.